Marshall University 2011 Freshman Class Captured Via GigaPan! In addition, Dr. Harold Blanco of the College of Education introduced new Marshall faculty to GigaPan technology and how to integrate it into their curriculum. Departments included theatre, social work, math, education and pharmacy to name a few. Last school year in the spring I offered a Gigapan class as an elective. It proved very interesting. The kids that signed up for the class were kids who struggled in academic classes due to reading and writing challenges. This was a great opportunity to get them engaged in reading and writing through gigapan. As the trimester started, I showed them lots of gigapan pictures to get them excited about the actual gigapan camera. Then I taught them how to use the camera around school, both inside and outside. 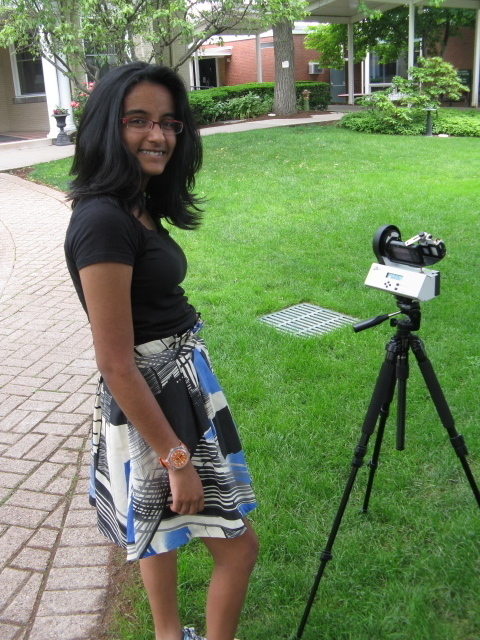 Eventually, some of the students wanted to take the gigapan camera home and try out their skills. Having kids actually take the pictures, post them, and write comments and questions enabled them to grow academically and socially. My particular class had kids who otherwise would not talk to each other. Gigapan became an avenue of collaboration for them. They began to work together in the set up of the camera, deciding what to take pictures of, and working on the final presentation by posting questions and writing comments. These gigapan "conversations" within our classroom helped them develop respect and concern for each other. The gigapan brought us together as a class. Lastly, the kids in the elective began to feel privileged because they knew how to do something that other kids didn't know how to do. Overall, the gigapan elective was a great experience for the kids and myself. I would love to do it again and get the kids involved in documenting their community service projects. Gigapan opens doors for kids and adults through panoramic pictures and conversations. Another adventure to the world outside of the Museum...I recently got the chance to visit the lovely campus of Carnegie Mellon University to learn more about their program: Educational Robotics for the Classroom. Honestly, I was not sure what to expect at all, but the idea of learning about robots and hanging out with fellow educators sparked my interest. Basically, what I attended was a graduation for several teachers who completed a course at CMU utilizing the Robot Diaries program. The Robot Diaries program allows someone to use simple robotics to help tell a story or express an emotion. Teachers are able to use these "robot kits" to better help their students understand the importance of technology. its the kind of program that opens up a whole new world of exploration for people, teachers and students alike. I was seriously jealous for not being able to take this course myself. Each of the teachers who had partaken in the class gave a presentation on how they planned on using robotics and technology to better their classroom. They also presented robots that they themselves created. These presentations and demonstrations were full of so much enthusiasm. It was great to see that this group of individuals could come together and learn something wholey new to themselves but all embrace new ideas as a group. There were some recurring themes in each of the presentations that struck me as an observer. Most of the teachers involved in the program were Art teachers, English teachers, teachers with no backgrounds in robotics. They were willing to learn something new. The question was brought up, "what do teachers do on Summer Vacation?" Well, this specific group decided to learn a whole lot about robots and how technology can influence their current curriculum. Its always good to learn something new everyday and at the same time teach something new everyday. It was very interesting to see and hear how the teachers were going to incorporate robots into so many various projects. Expressing poetry, teaching history, explaining organ systems, telling stories, etc. One can only wonder what else can be done with the use of simple robotics. The teachers were very enthusiastic about the fact that technology could be used to bridge gaps in certain subjects in school. "Robots as a bridge between Art and Science;" I'm certainly on board with that. Once again, it was too much fun sitting in on these presentations. all of the teachers involved were so willing to learn knew things and adapt them to existing lesson plans. The idea of expressing Edgar Allen Poe literature through robots is awesome...The idea of teaching history by using robots is perfect...the idea of teaching art by using robots is amazing...Thankfully these aren't just ideas. This is curriculum that is going to be implemented into several schools in Pittsburgh and the surrounding areas. Thanks again to CMU for inviting me to sit in on these presentations. Its always great to see teachers working together; collaboration is so important. It was also great to see that everyone is using the same robotics program in different ways. As always, I love exploring new things for the Museum and this was easily one of the best. I got to hang out with some of my favorite things; teachers and robots. Marshall University's Early Education STEM Center was featured last week on WV Public Broadcasting's show "This Week in West Virginia" highlighting science initiatives in the state. Check out the video and the children using a GigaPan puzzle during their discovery and play! Ellis School is located between Shadyside and East Liberty in Pittsburgh, PA. Every year in May the Upper School (grades 9-12) has 10 days of special classes that we call “Mini-Courses” after exams are finished. Carnegie Mellon’s CREATE Lab generously loaned us 4 Gigapans to creatively explore our immediate environment around our campus. Students made decisions about which direction to walk for each shoot. They photographed in Mellon Park, the new shopping center nearby, and East Liberty. As it was quite hot, we ended up photographing cool church interiors at least twice. Students were definitely inspired by the impressive architecture of these structures. They also experimented with sky gigapans, 360˚ views, extremely narrow views, and Escher-like staircases. We tried manipulating big tiff files and hit the limits of our computers’ ability to compute! Rather than assign a theme, it was interesting to see what areas the students would chose to explore themselves. Some of the funky accidents and outcomes hinted at possible creative possibilities for future projects. The girls loved having their images on the public forum of the Gigapan website, and they loved looking at what other people posted all over the world. Students sometimes saved their stitched images as tiff files, sized them down, tweaked them in Photoshop and made fairly large prints. In short, they had a wonderful introduction to this unique medium. Correa School in Valdivia, Chile. the student within a group worked together to build scenery stuff. use to ignore or use to be invisible in conventional photographs. regarding the tale and the panorama session. showed satisfied and proud when they saw the outcome of their work. published in Gigapan web site. These ecolodges are a viable economic alternative to other economic activities that degrade the environment, such as illegal mining and logging. The project has been successful and some families have converted their land from farmland back to its original jungle state and are now engaged solely in ecotourism. All businesses need marketing. This author was contracted to go into the jungle and photograph and film the families and ecolodges along the interoceanic route in Southeastern Peru. The content generated will be used for marketing in websites and print. One of the special capabilities that the author brought with him was a Gigapan Epic Pro camera. 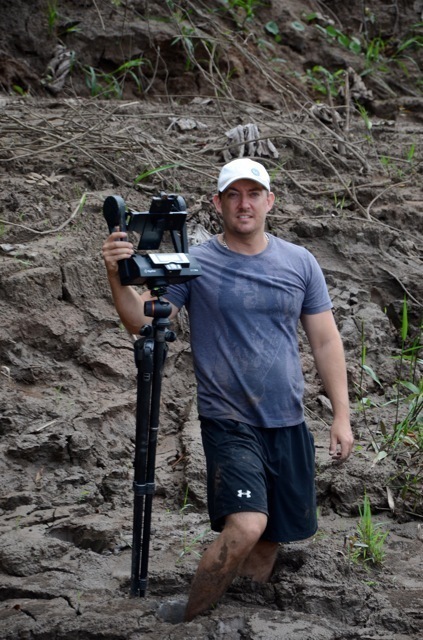 Using a wide range of lenses he was able create a wide variety of images such as gigapixel images of the city and canopy of the rainforest as well as 360 virtual tours of ecolodges, papaya plantations and giant Brazil nut trees. The great thing about having gigapan in the jungle is that it allows the web page visitors to explore the images in extreme resolution as well as explore 360-degree virtual environments. The use of this technology gives these small ecolodges a competitive advantage that they normally wouldn't have. If the ecolodges are a success then we have helps save the rainforest as well as helping the people. A brazil nut farmer in the peruvian amazon. 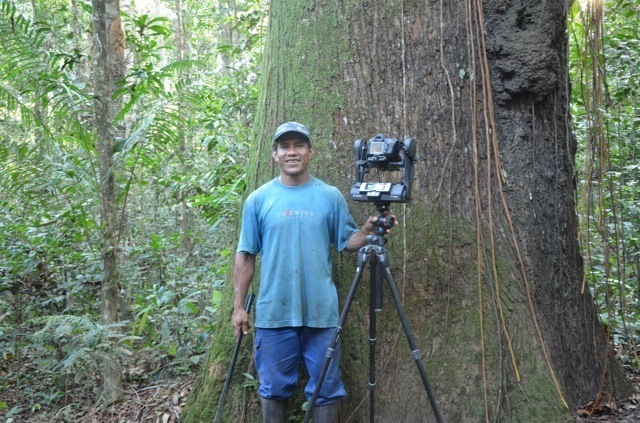 We used gigapan to take photos of his ecolodge, farm and giant brazil nut trees.